Colleges can be high-energy, filled with twenty-somethings who are passionate about their majors and excited to begin new careers. Not only is college the beginning of one's preparation for the workforce, it is a time of self-growth and the beginning of becoming who one really is. When these two ideas combine, it naturally creates an environment of creativity, problem solving, curiosity, and inspiration. How can this be manifested in campuses? Can campuses reflect and promote these ideas of creativity in the design of the campus itself? They already are and some have been for quite some time. If you haven't been on a college campus in a while, you may notice something a bit different about the atmosphere than a few decades ago. Buildings aren't your typical cookie-cutter, rectangle-shaped, brick-exterior structures of further education. Innovative materials are used to create uniquely shaped buildings designed specifically for a certain campus based off their values. Classes don't always adhere to a traditional semester where a student takes 4-5 classes at a time. Some institutions like Colorado College schedule one class per 3-week block so their students can be fully engaged and focused on their studies. College teaching has historically taken place in classrooms, but is now moving outside the classroom and utilizing campus green-space for learning experiences. All of these actions reflect the energy of creativity and innovation in a campus' mission. However, one way campuses reflect creativity stands out above the rest: campus public art collections. Organized by hundreds of talented curators and directors across the country, campuses are home to some incredible and impressive art collections and exhibits. From emerging artists to well-known names, campuses are now stocked with museum-quality paintings, surprising sculptures, inspiring installations and historical artifacts. Why are campuses holding campus art collections with such high esteem? It goes far beyond just being able to boast about their impressive displays. It speaks to the core of who a campus is because it is a physical, permanent representation of values, not just actions that can be taken. 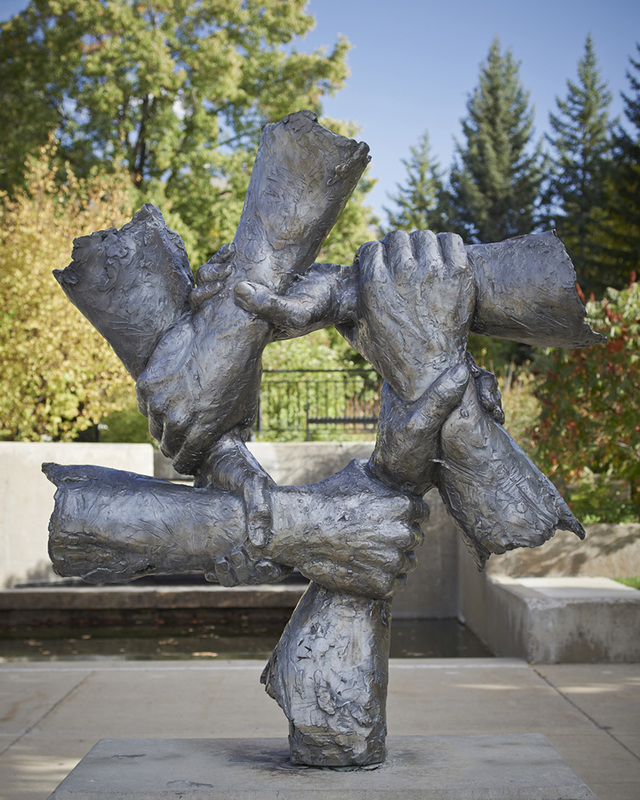 Public art collections are becoming vital to campuses in curriculum, operation, and heartbeat. Public art collections change what campuses teach, how students are engaged in teaching, and what resources are used on campus. The Schmucker Art Gallery at Gettysburg College is home to (or has exhibited) many notable pieces including 150+ Andy Warhol polaroids, Leonard Baskin watercolors, and Charles Bird King paintings. Having direct access to such socially valuable pieces opens doors for educators to create new learning experiences for students that would not be possible otherwise. In the gallery's 2017 Fall Exhibition Catalog, Schmucker Art Gallery Director, Shannon Egan, PhD shares about the centrality that the collection played in her spring 2017 course "Art and Public Policy". The class was completed in part by a Johnson Center for Creative Teaching and Learning Information Literacy Grant and partnership with Kerri Odess-Harnish, Director of Research and Instruction at Musselman Library. Egan states, "Although some of the students came to the course with limited experience in the discipline of art history, they ended the semester with insights into the artistic, social, and contextual factors that shaped each work of art." Public art collections change where students will learn, how will they interact together in learning, and create space for innovation and imagination. In speaking with The University of Texas at Austin Landmarks Director, Andrée Bober, she discussed how there are many studies that have been completed to prove the energizing affect art has on the brain. This is linked to a person's well-being, creative thinking, and communication. Bober expressed that not only are students being exposed to art that may not have had much interaction with art before, they are now building relationships with these pieces from repeat engagement. With each interaction, students are being encouraged to be more creative, curious, and confident. In 2008, the university improved their Public Art Master Plan (which is directly tied to the Public Art Program of the University, Landmarks). As a whole, this plan seeks to answer "how does learning happen?" Peter Walker and Partners Landscape Architecture, writers of the plan, express and advocate that much campus learning takes place between buildings, not just in them. Landmarks includes a wide variety of pieces that cover a multitude of subject matters, material and emotions. These pieces play a key role in how students interact with the campus and each other. Public art pieces have been specifically selected and placed strategically throughout the University of Texas at Austin's campus to encourage students to gather and learn together in these welcoming spaces. Public art collections change how we relate to each other and provide a place to have common ground and unity. The University of Pennsylvania has a public art collection that has been being developed over the last 150 years. The impressive collection includes pieces displayed throughout the campus, the Arthur Ross Gallery, and the Penn Museum. With so many incredible pieces, ideas for exhibitions are endless. In speaking with Lynn Marsden-Atlass, Executive Director, Arthur Ross Gallery and University Curator, she spoke of a very unique exhibition that was developed for the Arthur Ross Gallery. The crowd-sourced exhibition, Citizen Salon, is in celebration of the gallery's 35th Anniversary. Citizen Salon was curated by over 600 individuals including art historians, artists, Philadelphia residents, and more. When you ask 600+ people for their opinion, you might not be sure what you'll end up with. However, the final result of Citizen Salon is a beautiful mix of media, color, style and subject matter. Though vastly different from each other, somehow all the pieces in the exhibition work together to create a beautifully unique quilt of art. This delightful mixed display of traditional, modern, abstract and realist art can teach us about diversity and unity while reminding us to appreciate the past and look toward the future. Next steps: Does your campus have an online map of your public art? We’ve created a guide to create a map for your public art collection - start with part one, planning your map.